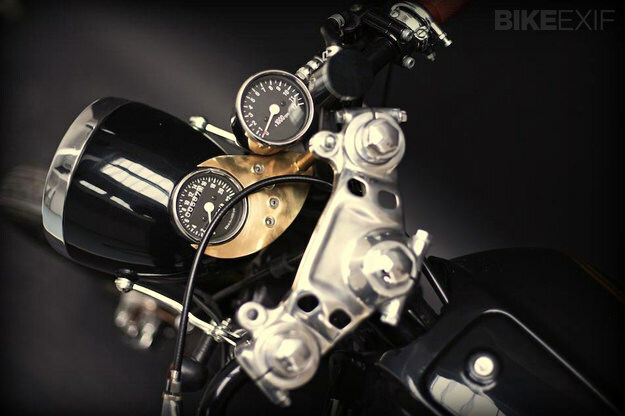 Charlie Trelogan’s insightful piece on café racer design emphasized the importance of good lines. 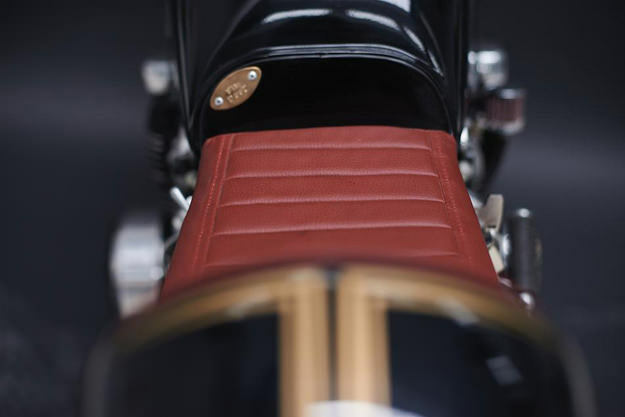 No one understands this concept more than Poland’s Eastern Spirit Garage: They helped build the Honda CX500 that Charlie used to illustrate his point. 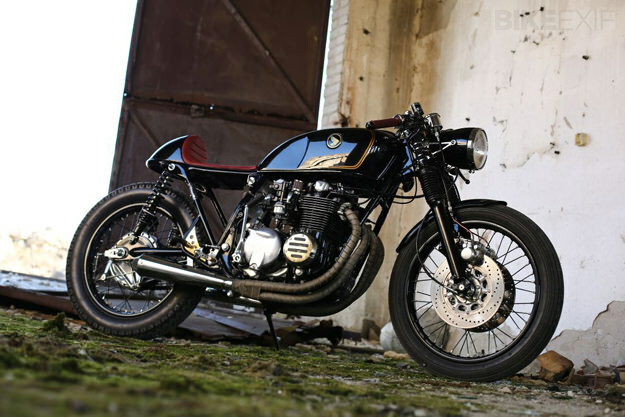 Now they’ve turned their keen eye to another Honda—the ever-popular CB550. 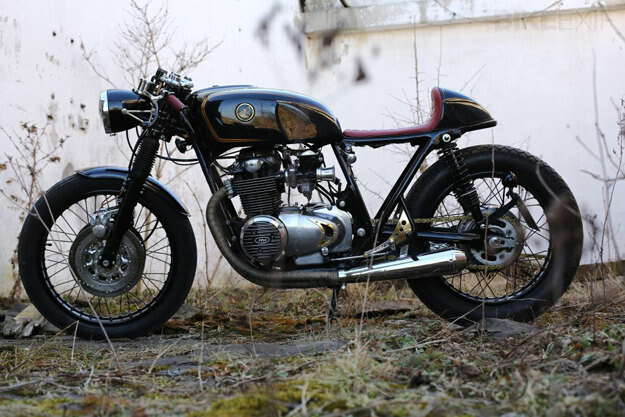 This 1980-model is the second Honda CB550 that Eastern Spirit has customised. As with most of their builds they’ve given it a distinct café racer slant, stripping it of any superfluous bits and pieces. The frame’s been de-tabbed and shortened, and the electronics and battery now hide under a custom-made tail hump. 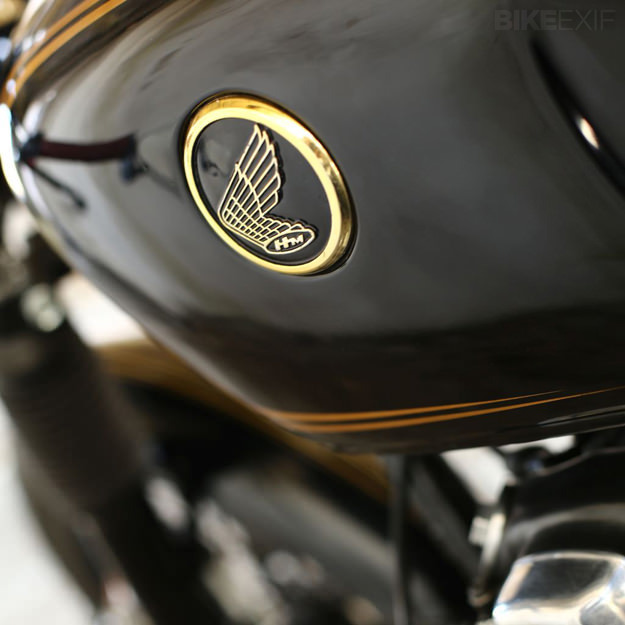 Knee indents and 60s-style Honda badges have been added to the stock CB tank. Up front is the headlight from an old Polish-made WSK, flanked by clip-ons of Eastern Spirit’s own design. The standard front suspension’s been retained, but the rear shocks have been replaced with aftermarket units, just under 1” longer than stock. The wheels are wrapped in Avon rubber, and the front’s received an additional brake disk, with a new, more modern master cylinder. Upon stripping the engine, the guys discovered that it was actually in great shape—so the decision was made to up the capacity to 600cc with a new set of pistons and rings. The engine also got a new clutch with stronger springs, a new cam chain, and polished cylinder heads and intake manifold. Velocity stacks were added to the carbs—which were completely rebuilt and synchronised—improving both the CB550’s power and exhaust note. The engine now breathes out through a pair of reverse cone mufflers. A predominantly black paint scheme adorns the bodywork, with tasteful brass-coloured pinstripes that complement the many hand-made brass and aluminium parts. 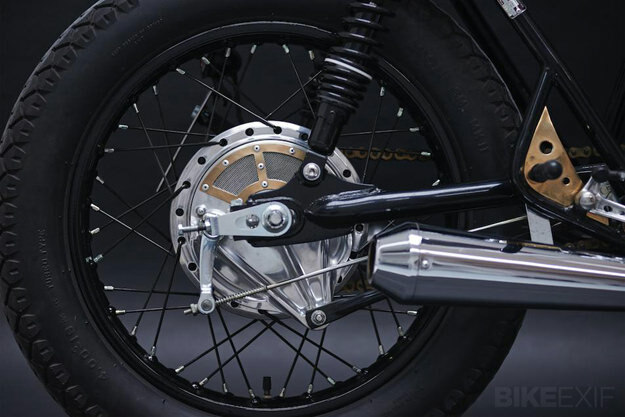 These include a mounting plate for the clocks and warning lights, a vent on the rear brake drum, the rear-set pegs and controls, and a finned plate mounted behind the carbs, which acts as a mudguard. The engine covers have also been modified, and the Honda logo replaced with the same “Hm” emblem as on the tank badges. With perfect lines, a performance boost, suspension and brake upgrades and gorgeous finishes, Eastern Spirit seems to have ticked all the right boxes.